We’re living in the golden age of superhero television right now, but the shows currently airing certainly weren’t the first to star masked heroes. 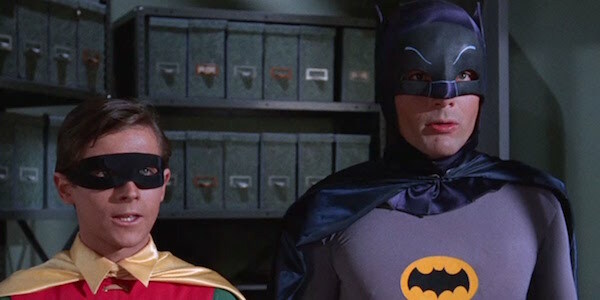 For instance, from 1966 to 1969, the Batman TV series took the world by storm, introducing the Dynamic Duo to audiences who’d never read a Batman comic book. In the decades since, stars Adam West and Burt Ward have worked together on and off (like in the 2003 TV movie Return to the Batcave: The Misadventures of Adam and Burt), but we’ve now learned that they’re reuniting for a special project involving Batman and Robin. Well, I have a gag order...However... No no, me and Burt have been working on a new project that's just gonna knock your socks off, and believe me, it's our Batman and Robin! This isn’t a lot to go off of, but for fans of the old-school Batman TV series, the prospect of having Adam West and Burt Ward working with each other as Batman and Robin is exciting. Seeing this iteration of the Dynamic Duo somehow fighting their oddball versions of Joker, Penguin, Riddler and Catwoman and other members of their rogues gallery again would be an amazing blast from the past. Now, there will be plenty of “Holy [fill in the blank]” lines, right? It’s been over 45 years since the Batman TV series, nowadays referred to as Batman ’66, ended, but it still remains a touchstone of pop culture, from its catchy theme music to the sound effect bubbles that appeared when the two heroes punched bad guys. Its campy tone basically defined Batman’s appeal to the general population until Tim Burton’s Batman movie was released in 1989. More recently, the West/Ward Batman and Robin starred in their own comic book series. The actors have also done voice work for various DC Comics animated shows and video, and this project, whatever it may be, will be their latest contribution to the company’s gigantic library of content. We’ll keep you apprised of any developments regarding Adam West and Burt Ward’s Batman project, but if you’re looking for Dark Knight-related material on the small screen, your best option is Fox’s Gotham, which returns for its third season this fall.